In March 2017, I drew a Bengali header for the website of Alphabettes, a loose collective of women working in the fields of lettering, typography, and type design. For this header, I wanted to recreate the very graphic lettering of Satyajit Ray, as seen in posters for movies such as Goopy Gyne Bagha Byne (1969) and Sonar Kella (1974). 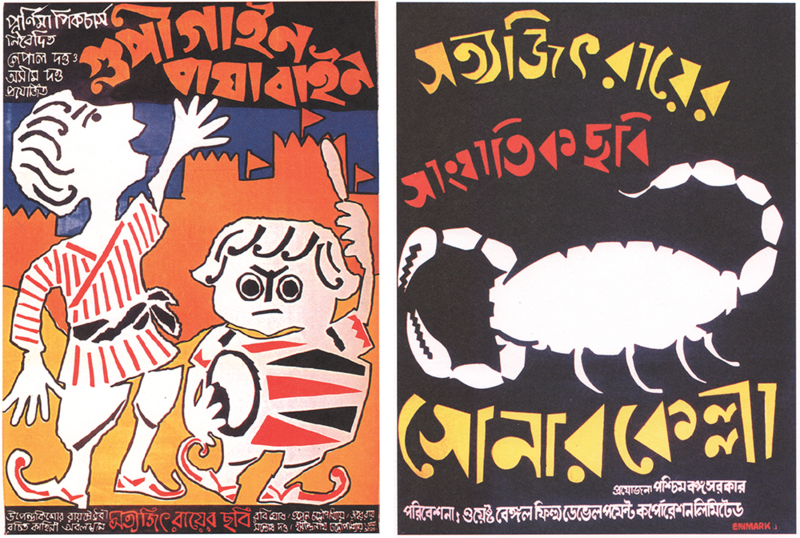 Poster for Goopy Gyne Bagha Byne (left) and Sonar Kella (right); both from Jayanti Sen’s Looking Beyond: Graphics of Satyajit Ray. For some years now, I have been taken by the bold yet playful lettering on these posters, and I was very excited to have an opportunity to create something in a similar style. 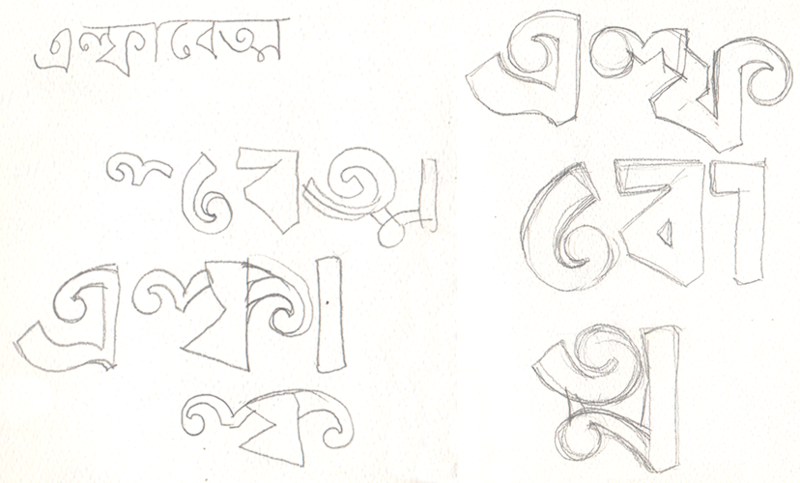 It took me a bit of time to understand how Bengali letterforms could be stripped down to almost-abstract shapes and how best the positive and negative space should be balanced. As you can see on the left, my early attempts were far from successful — the letters were spindly and weren’t locking into each other to make a unit. On the right, you see the sketch that became the basis for the final design. Of course, it was fine-tuned a great deal when drawn as a vector.